From the world's number-one bestselling crime writer comes the extraordinary new Kay Scarpetta novel. Massachusetts Chief Medical Examiner Kay Scarpetta has just returned from working one of the worst mass murders in U.S. history when she's awakened at an early hour by Detective Pete Marino. A body, oddly draped in an unusual cloth, has just been discovered inside the sheltered gates of MIT and it's suspected the identity is that of missing computer engineer Gail Shipton, last seen the night before at a trendy Cambridge bar. It appears she's been murdered, mere weeks before the trial of her $100 million lawsuit against her former financial managers, and Scarpetta doubts it's a coincidence. She also fears the case may have a connection with her computer genius niece, Lucy. At a glance there is no sign of what killed Gail Shipton, but she's covered with a fine dust that under ultraviolet light fluoresces brilliantly in three vivid colors, what Scarpetta calls a mineral fingerprint. Clearly the body has been posed with chilling premeditation that is symbolic and meant to shock, and Scarpetta has reason to worry that the person responsible is the Capital Murderer, whose most recent sexual homicides have terrorized Washington, D.C. Stunningly, Scarpetta will discover that her FBI profiler husband, Benton Wesley, is convinced that certain people in the government, including his boss, don t want the killer caught. InDust, Scarpetta and her colleagues are up against a force far more sinister than a sexual predator who fits the criminal classification of a spectacle killer. The murder of Gail Shipton soon leads deep into the dark world of designer drugs, drone technology, organized crime, and shocking corruption at the highest levels. With unparalleled high-tension suspense and the latest in forensic technology, Patricia Cornwell once again proves her exceptional ability to surprise and to thrill. 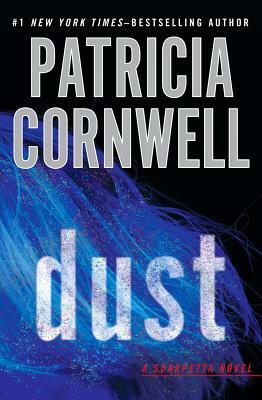 PATRICIA CORNWELL s most recent bestsellers include The Bone Bed, Red Mist, Port Mortuary, and Portrait of a Killer: Jack the Ripper Case Closed. Her earlier works include Postmortem the only novel to win five major crime awards in a single year and Cruel and Unusual, which won Britain s prestigious Gold Dagger Award for the best crime novel of 1993. Dr. Kay Scarpetta herself won the 1999 Sherlock Award for the best detective created by an American author."